Earn $65.62 in VIP credit (6562 points)What's This? 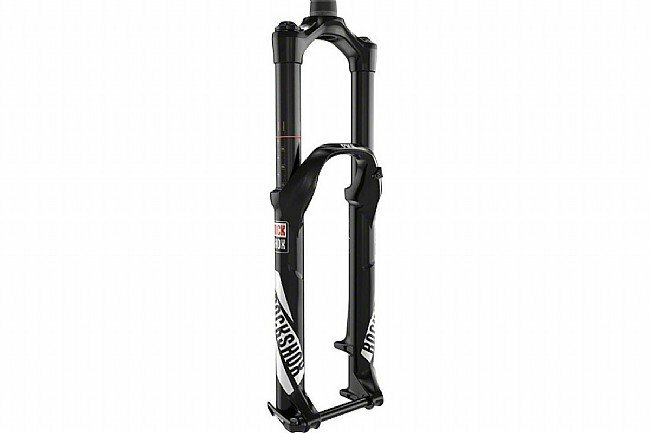 The RockShox Pike RCT3 27.5" 160 mm Solo Air Fork is the choice of enduro and all-mountain riders ranging from beginner to world champions alike. An asymmetric chassis design with 35 mm stanchions gives the Pike an unbeatable stiffness to weight ratio, and inside, RockShox's Charger Damper keeps the ride plush over every kind of terrain. This is aided by its Rapid Recovery system that allows for the fork to better recover between consecutive bumps, and the RCT3 feature set allows for adjustable low speed compression, trail-tuned pedaling mode, and full lockout. Setup is as easy as can be with this Solo Air model, using just one Schrader valve to simultaneously fill both positive and negative air chambers for quick and predictable tuning with less maintenance and less weight. Aluminum steerer and fork crown. Magnesium lowers. 160 mm travel. 51 mm fork offset. Compatible with 27.5" wheels and 1 1/2" - 1 1/8" tapered head tubes. Includes 15 mm x 100 mm Maxle Ultimate thru-axle. Claimed weight is 1861 g.
Upgraded from a stock RockShox Sektor SL and it is a night and day difference. The shock feels solid and dampens like a dream. It may be the placebo effect, but I felt a lot faster on DH runs.